Ask Cindy: Best Sunscreen for Infants? You have been sending me a lot of great green parenting questions so I thought I would share some of my answers with all of you. I am introducing a new “Ask Cindy” segment to my blog, which I hope to eventually turn into a new part of the website. So, if any of you have any questions about anything related to green parenting, please don’t hesitate to ask. And if you would like your name, city and kids’ names shared, please send those too. If you have a question but prefer that I don’t share it on my blog, just let me know. Ashley from Florida asks: What is the best sunscreen for babies under 6 months? Keep baby in the shade. Use umbrellas, tents, trees, or any other means of creating shade on an otherwise sunny day. Bear in mind that, even in the shade, your child is at risk for sunburn so use the other precautions too. Put baby in a nice big bucket or sun hat. This is an easy way to keep baby’s face and neck protected. Dress baby in long sleeves and pants in light colors. You might hesitate at this advice when the weather starts getting hot but, if you choose lightweight cotton, your baby will be much more comfortable. You can also try special clothing and swimsuits that have built in UV protection. Choose pools that have shade. Many places have baby pools that have some sort of structure shading part of the pool. Make use of sun shades designed for strollers and baby carriers. Keep your child well-hydrated with breastmilk or formula. Avoid going outdoors between the hours of 10 am and 4 pm when the sun is the strongest. 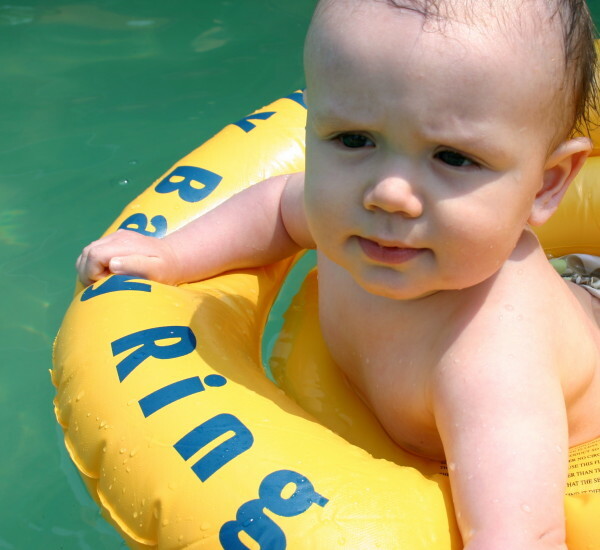 There is a lot of debate about whether sunscreens are safe for babies under the age of 6 months. If you do decide to venture out of the shade, you can use sunscreen on small exposed areas such as your baby’s face and hands, but please check with your doctor first. Absolutely avoid chemical sunscreens; instead choose natural options that use zinc oxide or titanium dioxide. The Environmental Working Group has a Sunscreen Guide that rates the safety and effectiveness of most sunscreens on the market. Look for sunscreens that have received a 1 out of 10 rating. Choose sunscreens that have an SPF of at least 15. You may want to stick with sunscreens designed for babies. Keep sunscreen away from baby’s eyes and maybe try a sunscreen stick to reduce the risk that baby might rub sunscreen into his eyes. Ask Cindy: Best Inserts for Cushions?